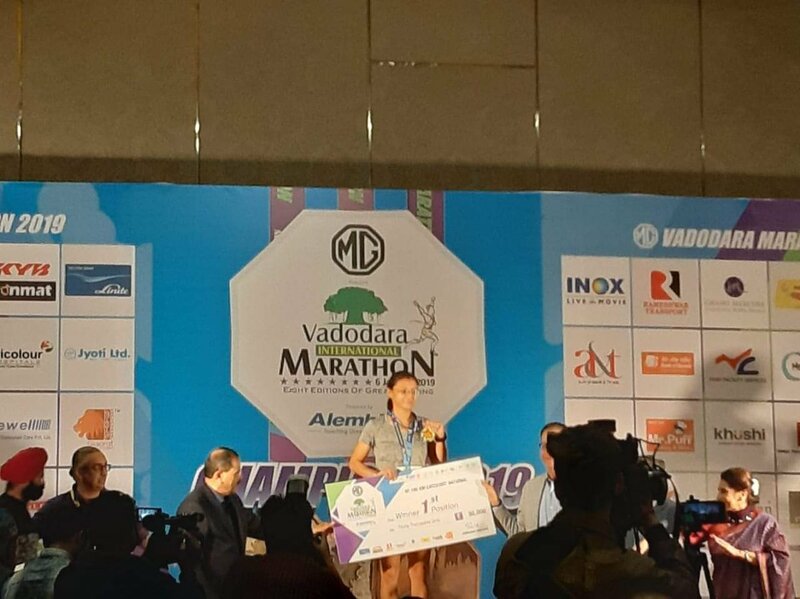 Vadodara, Jan 08, 2019: India’s second-largest marathon and Vadodara’s most anticipated sporting event, the MG Vadodara International Marathon kicked off to a grand start on 6thJanuary, 2019. It saw participation from 800 MG Motor India employees, the iconic carmaker that also sponsored the event for the 2nd consecutive year. The 8th edition of the marathon sought to endorse its primary theme of ‘Sports-Seva–Swacchta’, thereby aiming to enhance awareness on critical civic and social causes in Vadodara as well as the nation at large. MG Motor India has a deep focus on doing its bit for the society it works with and the marathon was another step in the same direction. It also emphasizes deeply on diversity at the workplace and has taken concrete steps to have a gender-balanced workforce with 31% of its employees being women. This percentage is the highest in the automotive industry in India which is traditionally a male bastion. It recently concluded the #MGChangemakers campaign to highlight the amazing work done by women trailblazers in India for others, less privileged, around them. Further, it regularly organises various editions of the ‘MG Grand Innovation Challenge’ across top universities in India in a bid to foster innovation in the student community, specifically in the domains of green mobility, transportation and various other auto-industry related aspects.